A sea of potential jurors have been pouring into White Plains Federal Court to see if they will be one of the 12 New Yorkers to decide the fate of one of Rockland’s biggest political scandals. 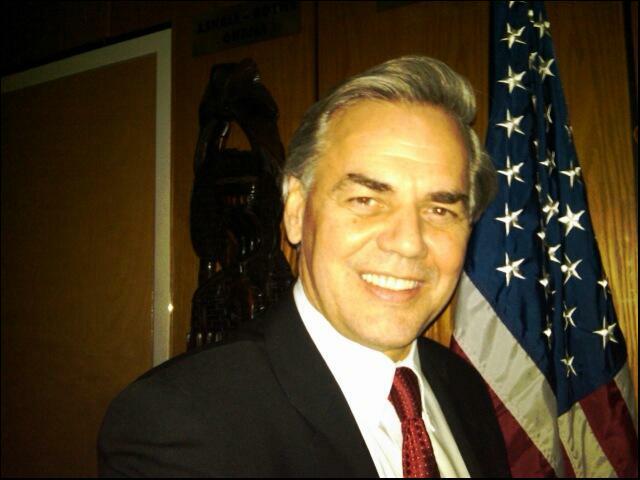 Ramapo Christopher St. Lawrence stands indicted on 22 counts of felony bond and wire fraud. Of the approximate 75 potential jurors that have been questioned by prosecutors and defense attorneys not one has been officially seated yet. The potential jurors are traveling from the entire New York Southern Court District; Rockland, Putnam, Dutchess, Orange and the Bronx. Questions ranged from if they had any personal connection to the Town of Ramapo to their feelings toward politicians in general and any personal dealing with the Securities and Exchange Commission. St. Lawrence who pled not guilty at his arraignment in April 2016, wore a plaid tie and was completely silent throughout the proceedings as his legal team was assisted by jury consultant, Julie Blackman. St. Lawrence is the Town of Ramapo Supervisor for over 16 years and faces 22- count federal indictment of illegally committing securities fraud, conspiracy and wire fraud. The charges allege he knowingly and willingly inflated the town’s general funds to get bond rates that they did not qualify for a baseball stadium, townhouses on Elm Street, through an LLC, the Ramapo Local Development Corp. with governmental associations. About 50 potential jurors were dismissed due to hardship, and in one case a Rockland man was dismissed because he personally knew one of the 84 potential jurors in the federal case. The field of potential jurors was wielded down to just 35 potential jurors who answered approximately 50 questions a each. Two of the potential jurors live in Rockland County; a woman from Garnerville who works as a real estate financial analyst and a valley cottage man who works as an IT manager. Jury selection will continue this week and once all the jurors and alternates are seated the federal trial, which is anticipated to take six weeks, will begin.